World Cup 2018: Argentina Issues Apology for Printing a Guide that Talks About Seducing Russian Women! Now, there have been a number of controversies in the lead up to the World Cup 2018. It was first whether Russia would be able to complete its stadiums on time. Then, the question was how the country would manage the influx of millions of tourists for the event. The one controversy that people didn’t really expect to happen was one where the Argentinean Football Association (AFA) introduced a Russia guide for its travelers – which included, among other travel tips, ideas to seduce Russian women! While they could argue that it was for fun, we cannot overlook the fact that sports entertainment doesn’t really mean that. In fact, nowhere, even in if you take a look at other sports nations, like sports entertainment South Africa, is this what you can call acceptable practice. The Argentine Football Association have been under a lot of fire since the publication of the Year 2018 FIFA World Cup manual which included advice on wooing Russian women. Since then, the AFA has apologized for the remarks. The association issued a statement that said that they regretted having this development overshadowing the other educational activities they were offering, and apologized to anyone who had been hurt by the publication. Additionally, the statement said that the article in question did not endorse the thoughts of the Argentine Football Association or its president Claudio Tapia by any means. What Did the Material Talk About ? The manual in question included a course titled, "Language and Russian culture", where one course dealt with why it was important to not think about women as objects. And while that sounds good, a tip in the chapter told readers how one could improve their chances with a Russian girl, which sparked the controversy. The course, organized by AFA, did have a lot of useful information for the country’s tourists, but this was definitely not one of them. The remark was called a printing mistake and treated as so in the official statement as well. The statement as well read that after an investigation, it was found out that the material was printed by mistake. The association further stated that, due to human errors, the printing happened, though the material in itself was never a part of the course. What Happens Now ? After the apology statement, the material has been removed from the publication and distributed again amongst the players. In order to further apologize for the controversy, the president of the Argentine football Association Claudio Tapia visited the cultural Institute Russia house in Buenos Aires. Ever since the controversy, the sports entertainment world has been religiously covering the news and the progress it has made over the week. 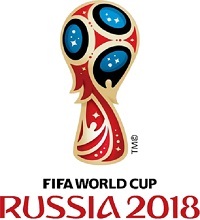 The tournament kicks off in Moscow on June 14. It has been estimated that over 40000 Argentines have bought tickets for the matches. The country has won the World Cup twice and will be facing Iceland, Nigeria, and Croatia this year.